TVK Recyclers – Cleaning up! Dis my land én dis jou land! Thank you for prompt service delivery! Brief – BEURTKRAG – Wat maak ons nou? Essensiële olies en natuurlike produkte bly tops! According to Mpela Ndaba, the Mkhondo LFA has exciting news – the graduates of SAFA (South African Football Association) development league will soon commence with a new cup tournament! Mkhondo LFA (Local Football Association)’s Mr Ntokozo Simelane, initiated this tournament and it will be known as the iNtokozo U/19 Cup, taking place on 1 – 2 – and 8 December 2018. This tournament will also form part of the sixth annual Mkhondo Diski Festival and is open to all clubs playing in the SAFA Promotion League who will be able to attend the games, set to take place in Mkhondo. 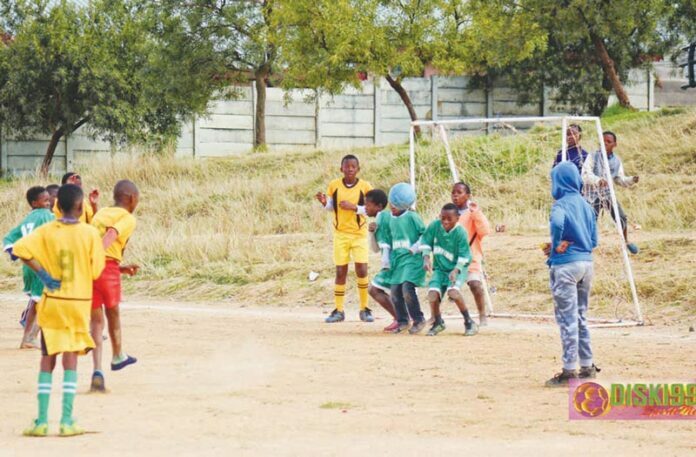 The age restriction for this tournament has been set for players born on or after 1 January 1999 and Mr Simelane said that he has been approached by a friend who suggested a similar tournament for juniors, about three years ago. This tournament has the potential to unlock the talent of local football players by affording them exposure to hundreds of fans. There are also plans to invite professional scouts to attend these matches in the future. The champions of this tournament will be walking away with a floating trophy, gold medals, a football kit and a cash prize. The runners-up and third place will also receive prizes, medals and match balls. For individuals who would like to contribute towards the success of this tournament, kindly contact Mr Simelane on 082 417 4055. THE ONLY REGISTERED, RECOGNISED AND APPROVED LOCAL NEWSPAPER SERVING PIET RETIEF AND SURROUNDING DISTRICTS | DIE ENIGSTE GEREGISTREERDE, ERKENDE EN GOEDGEKEURDE PLAASLIKE KOERANT WAT PIET RETIEF EN OMGEWING BEDIEN.